Are you self-employed or do you own a small business? Are you worried about your or your employees’ ability to save for retirement? How can you differentiate yourself as an employer while competing for talent? According to the Government Accountability Office, only 14 percent of small employers with fewer than 100 employees sponsor a plan in which workers can save for retirement. Only 5 percent with four or fewer employees offer a plan. In our experience, however, most small business owners genuinely care about their employees’ welfare and future growth. So why don’t more small businesses offer plans? The most common reason, of course, is cost. Employers believe, unfortunately, that the costs of offering plans outweigh the benefits. Since Main Street Investments offers all types of employer retirement plans (401ks, SIMPLE IRAs, SEP IRAs, etc.) I can find the most cost-effective plan for your unique business. Additionally, since Main Street Investments is 100% independent of all other industry providers, I’m able to select the retirement plan provider that will give your business, your employees and your pocketbook the best value-for-money. The second reason employers give for not offering a retirement benefit is the additional complexity and paperwork that such a plan can bring. Most owners have neither the time nor expertise to deal with the administrative and regulatory burdens of an employer retirement plan. At Main Street Investments, my more than 14 years of experience helps ensure that business owners have a trusted partner who will navigate all of the rules specific to each type of plan. My employer retirement plans are not “set-it-and-forget-it” services. On the contrary, I am in constant contact with the business owner and the employees to ensure that their plan lives up to everyone’s expectations. The last reason frequently given is that an employer is afraid of being in a position of providing retirement and investment advice to their employees. This concern is completely legitimate. 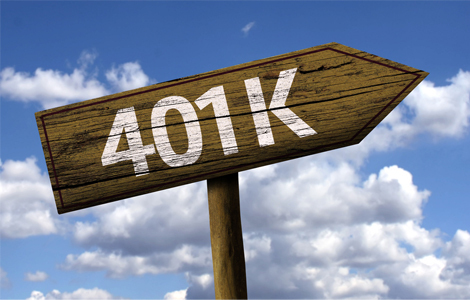 In fact, most employers with a 401k plan don’t know that they are a fiduciary to the employees. This means that the employer doesn’t understand that they are often on the hook if something goes wrong with their plan; they could even be exposed to potential lawsuits. If you are an employer, wouldn’t you rather have a trusted partner whose expertise in employer retirement plans can help you navigate this complex regulatory environment? Just as important, don’t you want to know that you are doing right by your employees by providing them with high-quality, low-cost, independent, expert retirement and investment advice? Let me provide you with customized calculations of your potential savings with a Main Street employer retirement plan by telling me a bit about your business here. © 2018, Main Street Investments. All rights reserved. Design by Alkurn Technologies. Disclaimer: The content is developed from sources believed to be providing accurate information. The information in this material is not intended as tax or legal advice. It may not be used for the purpose of avoiding any federal tax penalties. Please consult legal or tax professionals for specific information regarding your individual situation. The opinions expressed and material provided are for general information, and should not be considered investment advice. An investment advisor may only transact business in a particular state after licensure or satisfying qualifications requirements of that state, or only if they are excluded or exempted from the state’s investment advisor requirements, as the case may be; and follow-up, individualized responses to consumers in a particular state by an investment advisor, or the rendering of personalized investment advice for compensation, as the case may be, shall not be made without first complying with the state’s investment advisor requirements, or pursuant to an applicable state exemption or exclusion.